First Command Financial Services finds 71% of middle-class military families have suffered a health issue in the last year commonly related to financial anxiety. Financial confidence is high among military members, but sequestration worries remain. 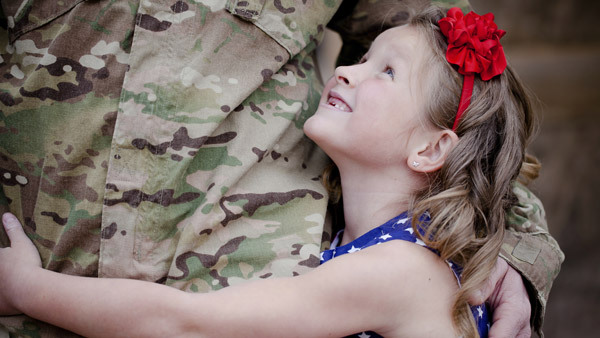 First Command Financial Services released new results from its quarterly Financial Behaviors Index that shows 71% of middle-class military families have suffered some kind of health issue in the last year commonly related to financial anxiety. However, the firm announced in June that financial confidence among military members was at a record high. According to the quarterly index, 72% of respondents believe their financial situation will improve in the next year, and 69% are more confident about their ability to retire, a 23 percentage point improvement over January. Short-term confidence was up as well, with 53% of respondents saying they feel more financially comfortable month to month. The newest release shows that 87% of respondents who reported high levels of anxiety also reported having some kind of health problem associated with that: 43% said they had difficulty sleeping, 27% said they had more frequent headaches, including migraines; and 19% said they were more irritable or that there was a strain in their relationships. “The uncertainties of sequestration and anticipated cuts to defense spending create anxiety. We see that anxiety reflected in some mental and physical health issues. We also see that many servicemembers respond to their feelings of anxiety through proactive consumer behaviors (such as saving more and spending less). Those behaviors tend to drive feelings of confidence,” according to the firm. The First Command Financial Behaviors Index surveys approximately 530 American consumers every month and reports the results quarterly. Military respondents are senior NCOs and commissioned officers with household incomes of at least $50,000.